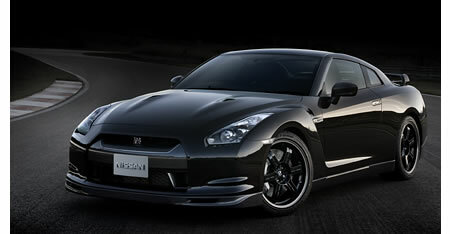 Nissan today announced a new limited-production Nissan GT-R SpecV model, which goes on sale at seven specially selected Nissan dealers throughout Japan on February 2, 2009. The Nissan GT-R SpecV is targeted specifically at enthusiast drivers who desire race car-level performance in a street-legal vehicle. Developed around the multi-dimensional Nissan GT-R sports car, which was introduced just more than one year ago to universal global acclaim, the new SpecV model builds on the original’s “ultimate super car that anyone can enjoy driving anywhere, at anytime” philosophy – taking it to an entirely new level of “oneness between man and machine.” The SpecV model includes unique body, interior and performance equipment and modifications, raising the GT-R’s unmatched performance to even higher levels. The Nissan GT-R SpecV’s new exterior features include a carbon fiber rear spoiler, a carbon fiber grille, and carbon fiber brake ducts. The SpecV is available exclusively in Ultimate Black Opal (RP) body color. 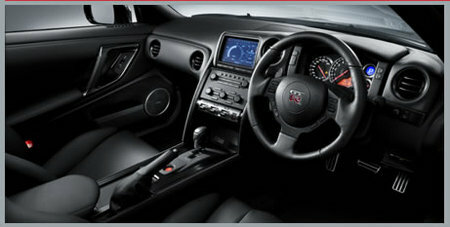 Inside, the SpecV’s unique two-seat interior (non-SpecV GT-R models also include a two-place rear seat) offers special Recaro carbon fiber bucket seats, while carbon fiber insets embellish the rear center storage box, instrument panel and other trim areas.